Are “Zero-Fee” Exchanges Worth Switching To? Most cryptocurrency exchanges charge between 0.1% to 0.25% commission on each trade. While this may not seem much, for active traders who enter and exit positions on a daily basis, exchange fees add up and eat into their trading profits. To provide a solution to this problem, a number of zero-fee exchanges have been launched. However, are these digital exchanges really a better alternative to the large fee-incurring established exchanges? There are two types of zero-fee exchanges. There are exchanges that do not charge trading fees on specific currency pairs, such as BitMEX for USD/BTC for example, and there are exchanges that charge zero trading fees across the board, such as the recently launched digital currency exchange Cobinhood. The former have enabled zero-fee trading for specific currency pairs to attract more users to their platform so that users trade other currency pairs or other financial products, such as digital currency derivatives, for which trading fees are being charged. 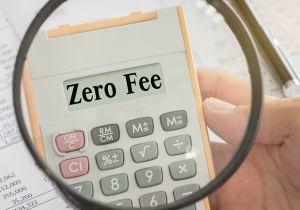 Full zero-fee exchanges, on the other hand, do not charge trading fees on spot trading but usually charge a fee for margin trading or other products they offer. Cobinhood, for example, does not charge a fee for spot trading or margin trading but does charge fees for its ICO service, where it aids blockchain startups in launching their token sales. Zero-fee trading platforms are obviously still for-profit businesses and will charge their users elsewhere such as withdrawal fees, margin trading fees, or for other products or services. Are zero-fee exchanges worth it? When it comes to choosing a cryptocurrency exchange, there are many factors that need to be considered. Fees are only one of these factors. 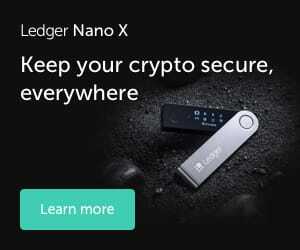 Others include reputation, security, accepted payment methods, geographical location, whether they are regulated or not, user-friendliness and, perhaps most importantly, the number of currency pairs on offer. Zero-fee exchanges such as Cobinhood and Quoine can help active traders to reduce their trading costs and, thereby, indirectly increase their profits. That is their key selling point. Having said that, all zero-fee exchanges available today are limited to only a few digital currency pairs, which is not very helpful for altcoin traders or those looking to actively trade ICO tokens. Furthermore, most zero-fee markets are found on Asian exchanges, which are not always accessible to those in other regions. Also, most zero-fee exchanges are largely seeing low trading volumes compared to the most popular (fee-charging) exchanges such as Binance, Bitfinex, GDAX, and Kraken. That makes trading large volumes more difficult on zero-fee exchanges. However, in terms of trading volume BitMex is the largest bitcoin exchange now. The zero-fee exchange model is definitely growing in popularity, even if it is mainly used as a way to attract users to then charge them for other products or services. Having said that, currently, cryptocurrency traders seem to be ok with being charged a commission on each transaction as the bulk of trading volume still occurs on fee-charging exchanges.